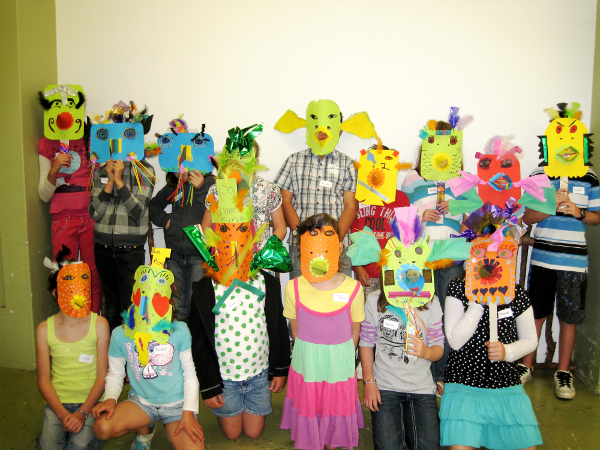 “Art is really fun!” This is what our students would say if you asked them about making art at the Sarjeant. They come bubbling in the door, struggling to keep their enthusiasm in teacher-approved decibels. When they see the exhibitions for the first time there are lots of ooohs and ahhs and sometimes gasps and giggles. As viewers they are wonderfully energetic, curious and responsive. My colleague Sietske and I work with primary, intermediate and secondary students. We see over 3500 students a year. We are really enjoying our new purpose built classroom on 38 Taupo Quay. Sietske and I teach sessions based on our current exhibitions and also design sessions in response to teacher requests. Our school visits often begin with a tour of the current exhibition. Children look very carefully, ask frank and insightful questions and come up with some amazing comments. We sit, discuss, analyse technique, wonder about the artist (Why did she make that? How long did it take? Is he still alive?…) The time in the Gallery is followed by a hands-on session in the classroom. This is where things get busy, messy and very fun. He says all sorts of great juicy things about how the arts encourage different modes of reasoning, invite cross-cultural communication while teaching respect and empathy, and explore the emotional, intuitive and irrational aspects of life that science may not so easily explain. 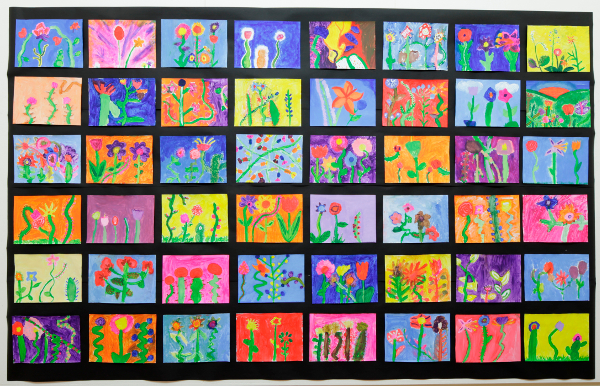 Art making provides opportunities for self-esteem and communication and in his words “affirms the interconnectedness of all forms of knowing”. And it is fun. In the past four years Sietske and I have taught a huge variety of subjects and techniques. In printmaking there is the gleeful whir of printing brayers as they roll through the ink. Students get great results and love the magic of being able to make multiples. During portrait drawing masterpieces (including Goldie and Collier) hang on the education classroom wall while a model sits quietly posing for earnest secondary students. Workshops on staged photography introduce different types of lighting and students explore contemporary ideas. Using 3D construction students make a whole array of different objects including masks, sculptural animals, houses, vases and funky chairs. With glue guns, staplers, wire, wool, fabric, cardboard, wood and found objects students express themselves via a tactile, sculptural world. Painting murals and miniatures, landscapes and abstractions, students experience different styles of painting and learn about the colour wheel. Finding out how to mix the colour brown is quite thrilling. The content for our lessons is diverse and eclectic. 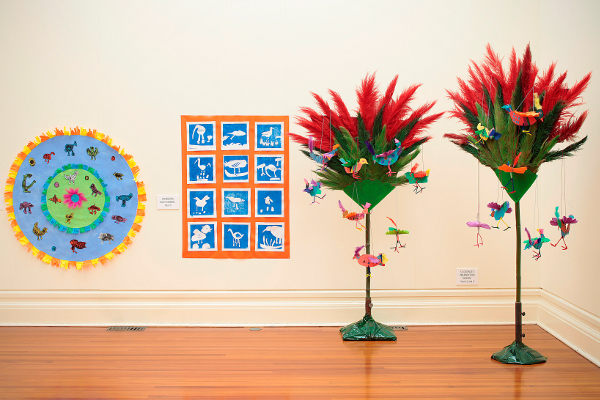 Birds, rugby players, clay faces, kites for Puanga, woven stars, tapa cloth, flower studies, the history of Wanganui, Maori legends, pop-up books, fabric art, jewellery with recycled materials…the list seems endless and continues to grow every term. Sietske and I really enjoy working with students at the Gallery. Every day is different. We feel that the arts help students explore the world around them, the past, the present and the invented future. And by giving students opportunities for success, their artistic experiences contribute to their own sense of well-being.